Genetic diseases are fairly common today, with more than one in 25 children being born with one. But the evolutionary history of such conditions is mysterious. Which genetic disorders were common in our ancestors and why? And do they still exist? Now, my colleague and I have discovered the earliest known common genetic condition in human evolution – in a 2m-year-old species called Paranthropus robustus. This species frequently had severe tooth defects, called pitting enamel hypoplasia, caused by the condition amelogenesis imperfecta – with many teeth completely covered in small circular pits giving them the appearance of a golf ball. 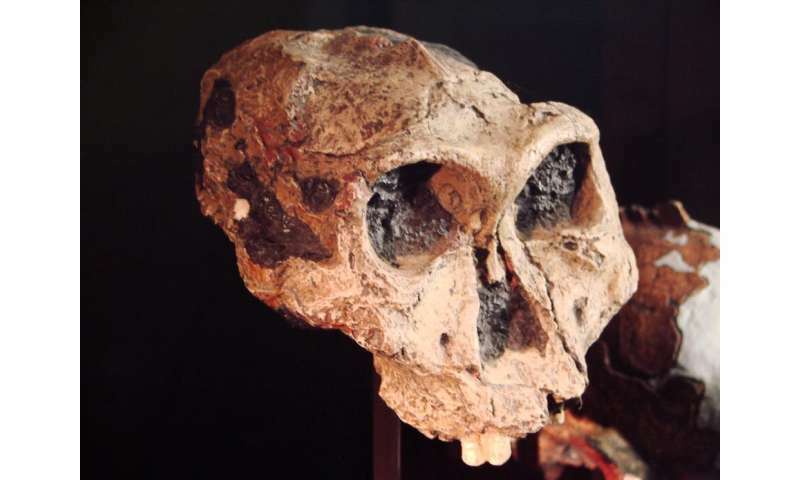 Remains of P. robustus have been found in abundance in several South African caves, all situated within the "cradle of humankind" about 50km northwest of Johannesburg. The majority of specimens are isolated tooth and jaw fragments, but there are also some magnificently preserved skulls and bones from other parts of the body. The Paranthropus genus as a whole were remarkable members of the human family tree. Individuals had extremely large back teeth, as well as massive jaws and cheeks – features thought to have evolved so they could cope with a diet rich in tough and fibrous vegetation. Some individuals even had "sagittal crests," a ridge of bone running along the midline of the top of the skull, thought to have evolved to anchor their extraordinary jaw muscles. Genetic conditions are rarely identified in the fossil record for several reasons. Once we get past 50,000 years or so ago, it becomes very difficult to get DNA samples from specimens. This is due to the DNA degrading and getting contaminated over time. If you can't get DNA, then you have to rely on markers left on bones and teeth, which significantly limits the types of genetic conditions you can identify. The frequency of specific genetic conditions varies among species and populations, and some can be particularly prevalent in certain groups. Thanks to an ever growing sample of archaeological hominin remains (humans and our close fossil relatives), some genetic conditions may nevertheless show up if the condition was prevalent. In our new study, published in the Journal of Human Evolution, we report the earliest example of a group with significantly higher occurrence of a genetic condition than occurs in people today. Amelogenesis imperfecta affects only about one in 1,000 people now, whereas roughly 1 in 3 P. robustus individuals suffered from it. Out of several hundred P. robustus teeth, over half of baby molars (back teeth) had pitting defects, as did a quarter of adult molars. There is also evidence to suggest other species belonging to this massive jawed genus (Paranthropus) were prone to this genetic condition. The condition would have significantly impacted diet and behaviour, since such defects in the enamel can lead to extreme tooth wear and dental cavities. This likely partially explains the surprisingly high rate of dental disease found on P. robustus teeth, since holes allow places for dental cavities to form. Today, due to advanced dental care, amelogenesis imperfecta is often predominately a cosmetic issue. This raises the question, if this condition had negative consequences for the individual, why did evolution through natural selection allow it to persist so commonly for over a million years? The answer likely goes back to Paranthropus evolving extremely large molars in a short period of time. Pressure on this group to increase the size of their back teeth was clearly strong and led to significant genetic changes. This process may have led to instability in crucial genes, or had side effects on other features that share these same genes, called pleiotropy. For example, the gene ENAM is associated with variation in tooth properties such as enamel thickness. Mutations in this same gene are responsible for many types of amelogenesis imperfecta. Therefore, genetic changes linked to the evolution of thick enamel and large back teeth in Paranthropus, over a short period, may have created knock-on effects in genes such as ENAM, leading to high rates of pitting defects. 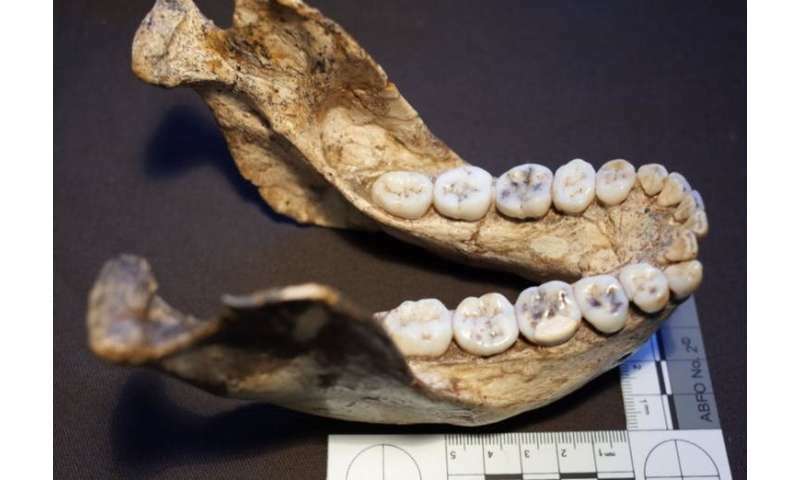 Clearly this trade off was worthwhile since this group of hominins were widespread in Africa, and even survived alongside early members of our own genus, Homo, for hundreds of thousands of years. The story of Paranthropus keeps getting more interesting, and with more finds and discoveries further insight into the lifeways of these striking members of our family tree will be possible. This research also helps in our quest to understand the history of genetic disease, and these fossils may give further insights into the causes of amelogenesis imperfecta in humans today. More broadly, genetic conditions are rarely researched in our fossil ancestors and relatives, and with vast steps forward in DNA studies as well as more fossils it won't be long before other rare genetic conditions will be identified.